In the age of the ‘metrosexual man’, going bald isn’t just an indicator of age finally catching up with you or having less-than-perfect hair. Whether Heisenberg sparked the trend with “Breaking Bad”, or it’s just the fact that your hairline’s receded another 2 inches this past year, men have a whole range of reasons for saying goodbye to their locks, and embracing a completely shaven bald head. What’s a Good Shaver to Use for a Bald Head? So if you’ve made up your mind to take this momentous step, good for you! But where’s a good place to start? Well, if you’re going to be getting rid of all your hair, the first logical step would be finding something suitable to take it off with! In today’s world of widespread choices and options, there’s a lot more to hair removal than just going to the dollar store to pick up a razor. Many modern products are customized to give you specific finished results, so you’ll need to know what you’re looking for when you go to pick up your tools! When it comes to shaving your head, there’s two camps: the shaven stubble look, that’s achieved with a set of hair clippers, leaving 0.5 – 1mm of stubble. 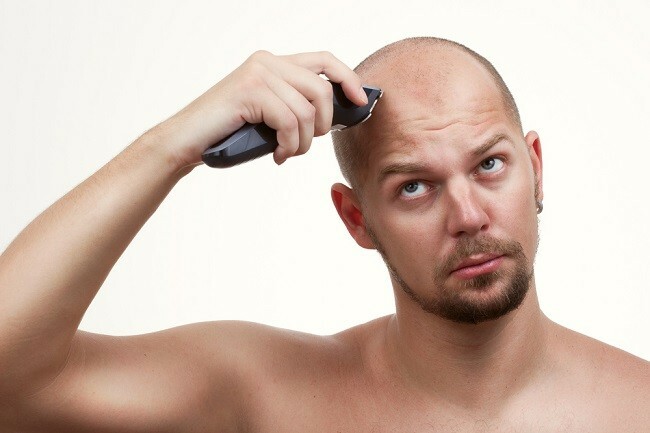 Then there’s those that want the hair right down to the skin, for the closest shave possible for a completely bald head. 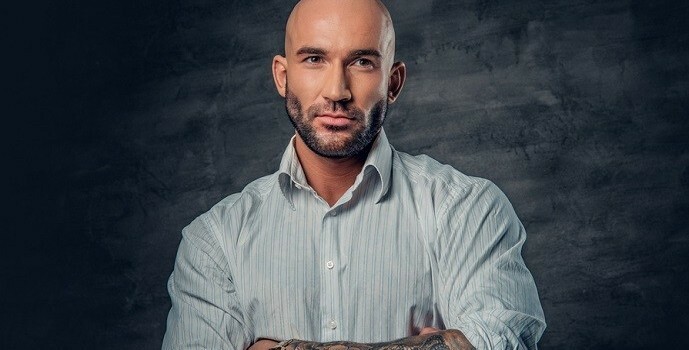 And today, we’re talking about how best to achieve the latter – a bald, stubble free head. So let’s take a look at our options, shall we? Cartridge Razors: Also known as “disposable razors”, these razors are the most commonly available, sold by brands such as Gillette and Schick. Cartridge razors generally come with 2 – 5 blades and are recommended for those new to the shaving game as they’re cheap, easy to use, and work well for most basic shaving tasks. For a close, clean-shaven look, this one’s your best bet. However, these blades need to be replaced quite often if used frequently, and it can be hard to maneuver the razor while shaving your head if you’re using the kind without swiveling heads. Safety Razors: Also known as “double-edge razors”, these razors also give you the close and clean-shaven look, but they last much longer than cartridge razors and are therefore a much better investment for the price you pay. It takes a little practice to be able to use these razors though, so only buy them if you’ve got the time to learn the technique. These razors are also great for those with sensitive skin, though shaving with these takes a little more time than cartridge or electric razors. Straight Razors: You’ve probably seen these in antique store windows or maybe your local, traditional barber using one. This traditional razor comes in two types: The “shavette” and the “straight razor”. The former’s blade is replaceable while the latter’s blade can be sharpened using a strop or a leather belt. The best part about these razors is that you’ll only ever need this one blade your whole life and they give you an incredibly close shave. However, these blades are pricey, take a longer time for a shave and are very hard to handle without practice, especially when shaving your head. Electric Shavers: Like most things today, you can also complete your job with a machine! Electric shavers are the quickest and most efficient way to get that clean shaven look without the long minutes of shaving and the cuts. You don’t even need the shaving foam! A little pricey but a good investment, these shavers are great to carry around on trips and get the job done efficiently in half the time. Although or opinion may be somewhat biased, we also know what we’re talking about when it comes to electric razors, and we say they’re best for bald heads. Trimmers: If you’re looking to rock the three-day morning stubble look, the electric trimmer’s your best friend. After all, a close shave isn’t necessarily a good thing all the time, right? Unless you’re someone with a lot of patience and skill, electric shavers are the best tools to get that clean shaven head you’re after! Other factors you might want to consider are whether you want a “wet shave” or “dry shave” (with and without shaving cream, respectively), costs, self-cleaning or manual-cleaning and attached or separate trimmers. However, there’s another feature to consider before you go pick up an electric shaver. Foil shavers contain oscillating blades (blades that move back and forth). These shavers have heads that are more rectangular in nature, making it hard to reach the contours and curves. These shavers are also on the noisier side and restrict your range of shaving movements, and give the same smooth and close shave as rotary shavers. The rotary shavers, on the other hand, have three discs (and up to 5) with razors that spin around at an incredible speed to give you a close shave. The best part of these razors is that they can reach even the tiny crevices and curves, especially the ones that can pivot 360 degrees and flex inwards. So which one should you pick? Well, the pros of the rotary shaver definitely outweigh any cons the foil shavers have. 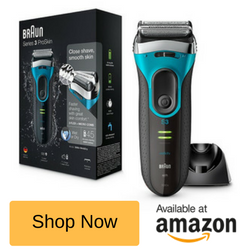 With a much more flexible handle and greater access to all the tough spots, rotary shavers are a much better option than foil shavers if you’re looking to shave off every hair, it’s the way the rotary heads “hug” the rounded shape of your head, and “buffering” action that makes them a better choice for bald men. 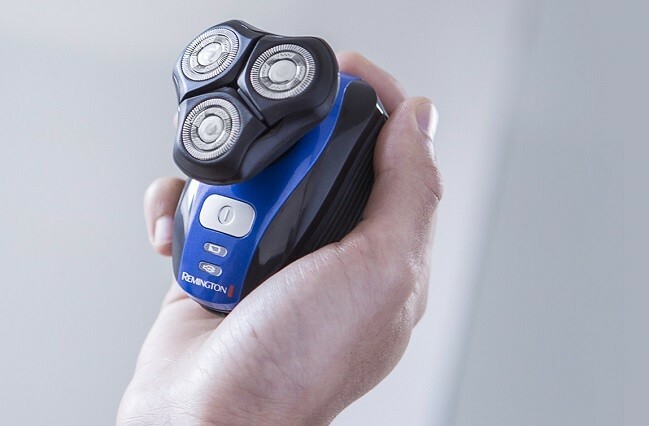 Now, foil shavers work very well, and they’re our shaver of choice for the face – but for human heads – a much more thorough job, with less effort is achieved with a rotary model. Well, luckily, there are a great many products in the market to help you get the kind of shaved look you want. Here are our top two products with amazing shaving capabilities and designed specifically for the bald headed style. The Remington XR1400 Flex Rotary Electric Shaver can help you achieve that shining crown in a quick and efficient manner. 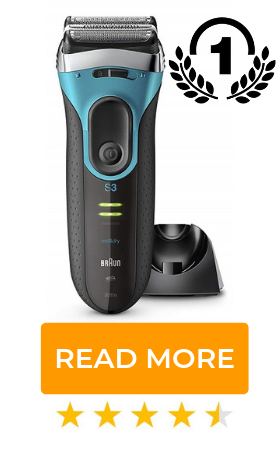 Ten times faster and with no cuts, this device is a godsend for shavers across the world. Available on Amazon for a price around the £50 mark, the “Remington XR1400” may seem a bit on the pricey side but is definitely a worthy investment. It is also a great option to pack away in your suitcase and carry with you on trips. It works for your face and head, for a complete face/neck/head shaver, all in one package. And if you ever need to replace the head, the company also sells replacement heads. What Makes the Rermington XR1400 so Good? The shaver’s Flex360 HyperFlex technology allows the neck of the shaver to bend, helping you reach all the difficult spots easily. The ActiveContour technology flexes the individual shaving heads, further increasing your reach while shaving. Ergonomic design for comfortable shaving. Dual track blades that give you 50% more shaving coverage than other standard rotary blades. Precision Ultra Cutters that help you cut hair of varying lengths with fewer strokes. An attached ComfortTrim detail trimmer. Lithium powered battery that gives you 45 minutes of runtime. 100% waterproof, making it suitable for both dry and wet shaves. Cordless, so you don’t have to worry about tangled wires! The “Bald Eagle Smart G” is another great option to achieve the bald look. Though pricier than most standard rotary shavers at almost £100, this shaver is well worth the bills you dish out. Easy to use and easy to clean, this shaver’s a great addition to your grooming kit! What Makes the Bald Eagle Shaver so Good? Strong motor that offers 10,500 RPM (rotations per minute), leading to a quick and efficient shave. 90 minutes of use on one single charge powered by a high capacity Lithium battery. LCD battery display for easy battery life monitoring. Designed for a cordless shaving experience. 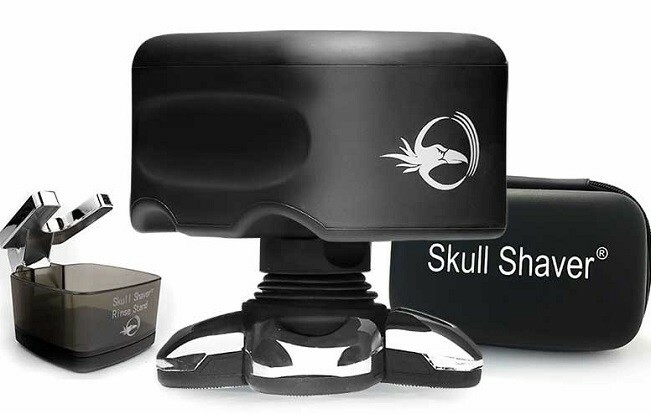 Ergonomic design that fits your hand and gives you extra reach for the back of your head and face. Five large, flexing shaver heads with rotary cutters that allow for a close shave with no restriction in shaving movements. Each blade flexes independently, allowing the blades to contour and give you an even shave. Taking the plunge can be a huge step, resulting in a drastic physical change, and sometimes even mental change! In fact, studies show that baldness is associated with images of tough, no-nonsense, intelligent characters and “Alpha Male” status. 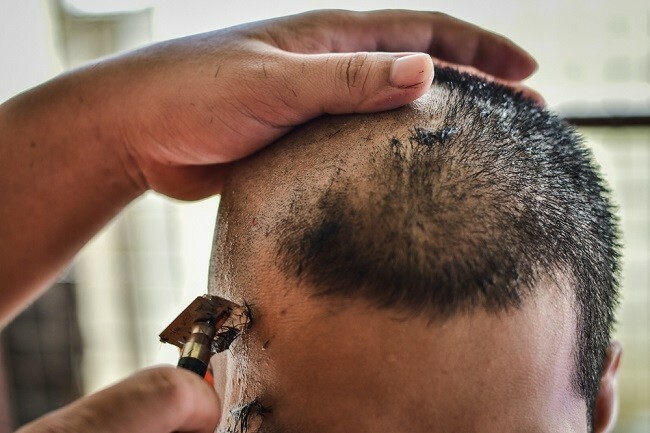 But whatever your reason for shaving you head may be, these are the best head shavers that offer a simple, quick and efficient way to go about the process. So go on and take the step with the shavers we’ve picked out for you and you’ll find that there is absolutely nothing stopping you from being “bald and beautiful”.